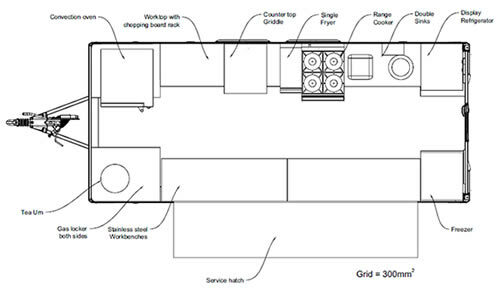 Ifor Williams Catering trailers only use appliances which are top of the range and each trailer is built to the specification of your requirements with the help of Ifor William's design engineers. You can have a bespoke layout designed which meets your individual needs for your own business. Only top of the range appliances are used. If you are looking for a catering van suitable for events, weddings, shows or food fairs this trailer can be adapted with a stainless steel kitchen exactly to your requirements. 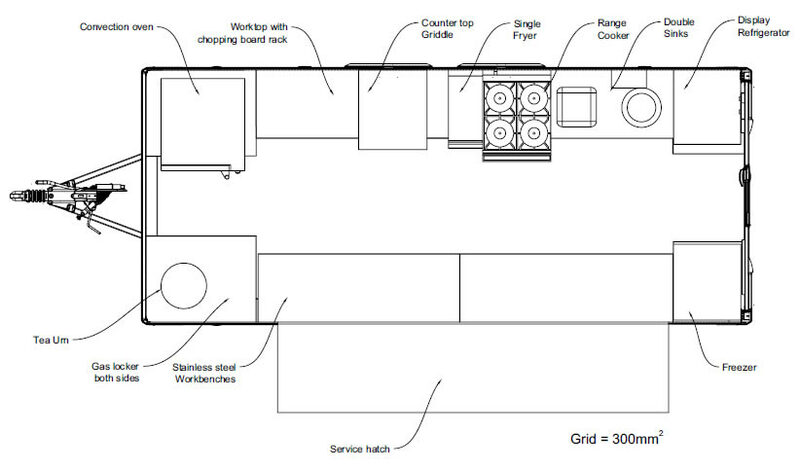 Ifor Williams can help you plan, design, and build a trailer exactly as you want it. As with all of their custom trailers Ifor Williams understand every customer will have their own unique requirements, even if it is a basic concession trailer or vending trailer. The design process is key in making your ideas a reality. The design and layout of your specialist trailer and selection of appropriate equipment are critical to the success of your business. Once they have a clear understanding of your needs, they can provide you with a quote and some preliminary drawings. When the quote is agreed and the order is finalised, they can produce accurate, 3D drawings giving you detailed information for your approval.